So I’ve been having a lovely time down south in Mexico, sunning myself, drinking tequila and trying to run a successful Railway Empire. But now the time has come and I’m heading north once more to build more tracks and to make sure milk and meat are distributed to hungry citizens everywhere. However this time we are going further north than ever before, to the sometimes frozen wilderness of Canada and The Great Lakes. So pack up your fur coats, put away your sunscreen and get on board as we head up north. I’m a big fan of Railway Empire. It is a well-detailed sim with a load of stuff to do and for railway fans, it’s a must buy. The controls might be a bit fiddly on console, but not so much to destroy the enjoyment of the experience. That experience got all the better when the Mexico content arrived to add some great new story content, new engines, and even more trade routes and items. For the cheap price it is well worth purchasing if you’re a fan of the initial game. 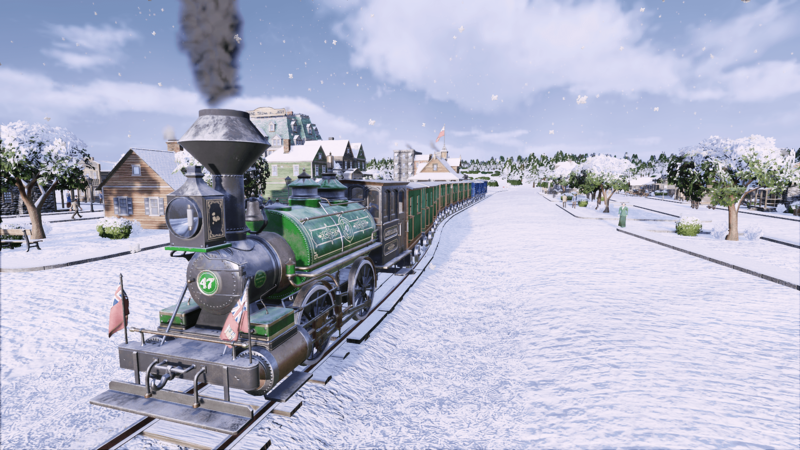 Once again this new DLC pack is a great little package for the price and the addition of the Great Lakes brings a whole new bit of life to this very well designed train sim. The game doesn’t really do anything new in the way of the mechanics, but that isn’t a bad thing… even though you’ll still find me struggling to link up the main tracks. But what it does do is bring in a new main scenario called Dominion Day: The British North American Act. This is great and it gives you a little insight into the history of the region, the politics of that time (1860-1880) and the problems the railway had with its delivery mechanisms. It’s a harsher environment this time around with near-on 20 new cities or settlements to explore and connect to. There are some new trading goods which rely on furs for example, reflecting the main goods of that region and time. Also, and this really is one for the train fanatics, there are two new engines on offer; the Achilles (0-4-0) and the aptly named Canadian (2-8-0). After playing Railway Empire and the new content for a good long while, I still don’t know what these numbers mean, but I’m pretty sure it’s not the most important consideration I need to worry about. Once again the entire Great Lakes package offers a lovely bit of extra enjoyment, especially if you’ve exhausted the North American section and the Mexico DLC. The sandbox modes are still around, allowing you to just have a play around with the tracks without financial restraints or worries, and when you consider the price being asked, it makes this DLC pack something that is well worth a go for fans of the main game. In the visual department, it’s pleasing to see a completely different region on display with its rugged wilderness and snowy landscapes. It made me feel quite Christmassy – in a sort of train kind of way. This is particularly true of the night mode, and the different weather effects really do allow some immersion. 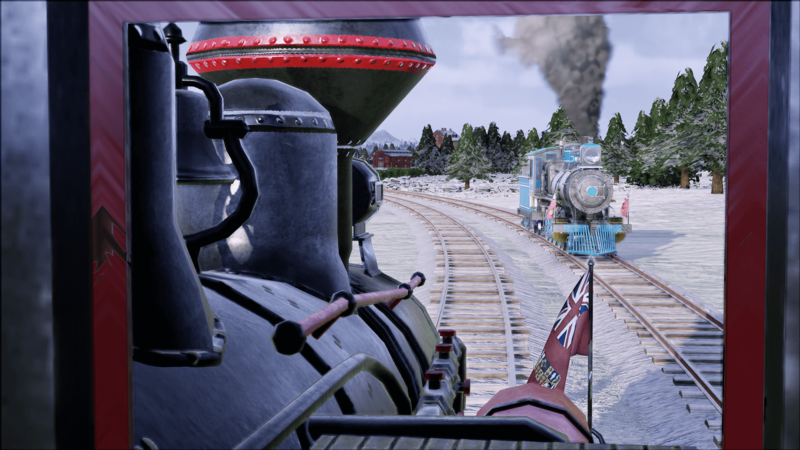 Overall and the Great Lakes DLC for Railway Empire is another engaging piece of content. In fact, should you be able to pick up the base game, and all the content included, then the whole package would make an excellent GOTY edition. Yes, the mechanics can still be a bit fiddly on console and there hasn’t been a huge change in the gameplay, but what it does well is that it adds more content to an exceptional product and a whole new map and region to explore. So where does the great Railway Empire journey take us to next I wonder? Crewe, UK in the late 1980s, I hope.